Activated macrophage. 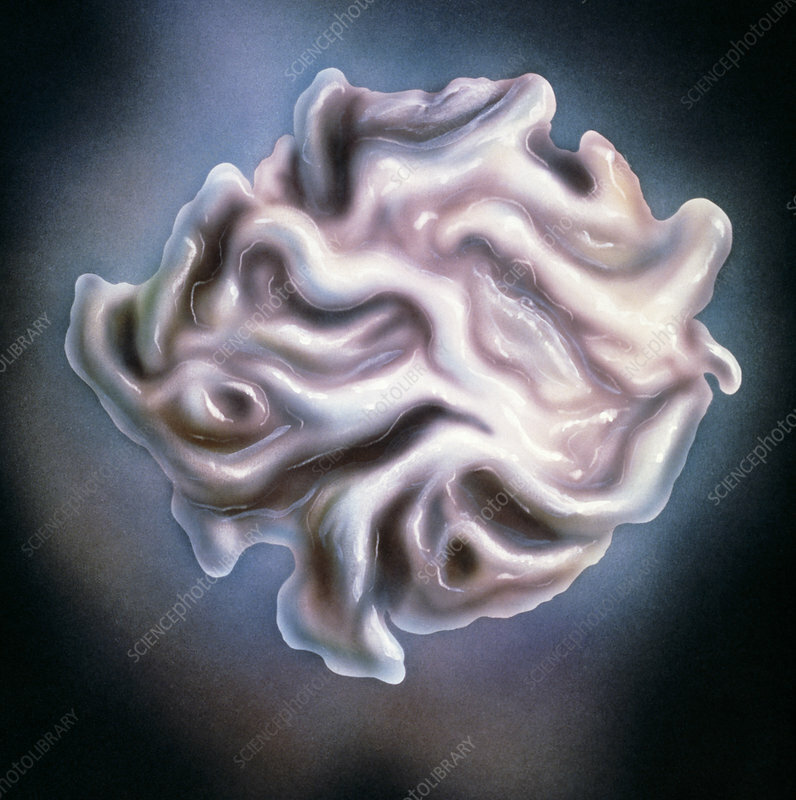 Artwork of an active macrophage white blood cell which forms part of the immune system. In an active state the cell surface appears frilly and these "frills" spread out as arms to draw the cell along substrates. White blood cells migrate from circulating blood into tissues to defend the body against invasion by foreign organisms. Macrophages migrate to tissues such as the lymphatic system and lungs; some types of macrophage migrate to sites of infection. Macrophages can also detect antigenic (foreign) substances during the initial stage of the body's immune response.